Festive season is here and we have so many friends and relatives visiting us. Here is a nice appetizer / snack to serve along with many other goodies. 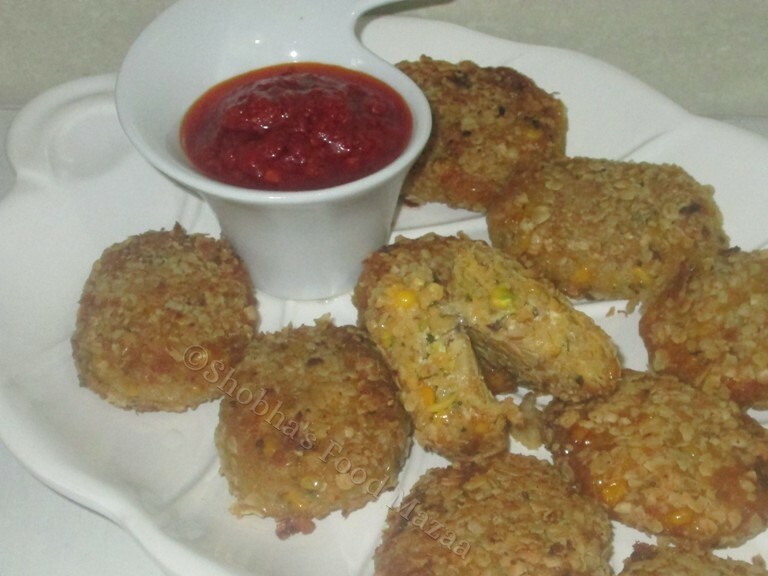 Crispy corn cutlets stuffed with paneer and dry fruits, coated with oats for crunchiness is perfect for the occasion. 1. Grind the corn kernels coarsely adding milk. 2. In a pan heat a tbsp of oil and add the ginger garlic paste. 3. Saute and add the green chilli paste and corn paste. Cook it stirring continuously until it becomes thick. It takes about 5 minutes. Season with salt, roasted cumin powder and crushed kasoori methi. 4. Allow it to cool. Now mix the boiled and mashed potato, roasted and crushed oats for binding. Check the salt. 5. Now take a small portion of this dough and flatten it. Place a little dry fruit and paneer mix and seal it well. Make all the cutlets similarly in an oval or any other shape you like. 6. Mix the flour and corn starch with half cup milk or water to make a thin slurry. 7. Take the oats in a flat plate. 8. Dip the prepared cutlets in the flour slurry and coat them with oats. 9. Heat oil in a pan and fry the cutlets until golden brown. 10. Serve with any sauce of your choice. Wow...yummy snack with all Favourite ingredients with lot of flavour and ingredients. Good work and thanks for sharing, a must try snack. Please check http://Rarelicious.wordpress.com for more kids friendly snacks, millet recipes and South Indian recipes. How unusual to have oats in the recipe! I love anything to do with paneer. Would love to try this! Please do try and let me know.. I am sure you will love these cutlets. 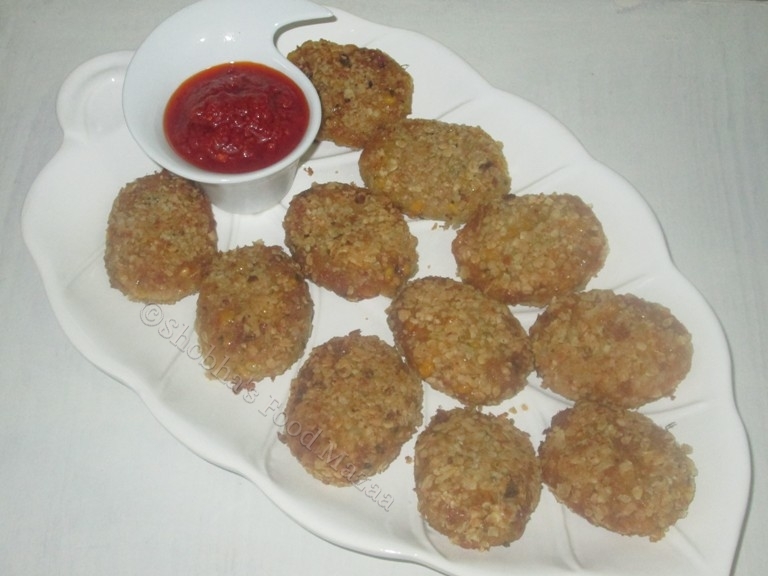 Love the filling and coating the cutlets with oats sounds really interesting. What a delicious tea time snack, I love the stuffing inside them. Thanks for liking them Nayna.